It's been 30 years since the first ever National Red Ribbon Week, which was organized by the National Family Partnership. 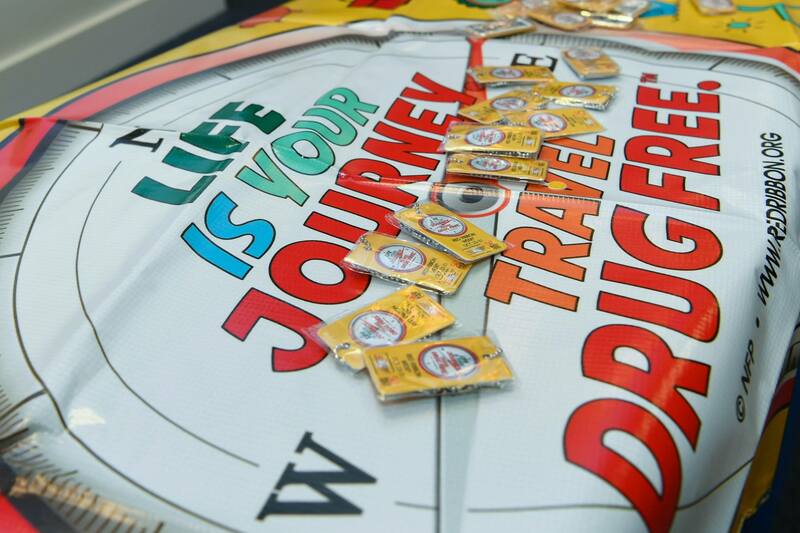 This year's National Red Ribbon theme was "Life Is Your Journey. Travel Drug Free" - and to Red Ribbon's founders, building, sustaining and growing the campaign has been a true journey! It all started after the tragic kidnapping, torture and murder of DEA Special Agent Kiki Camarena in 1985. 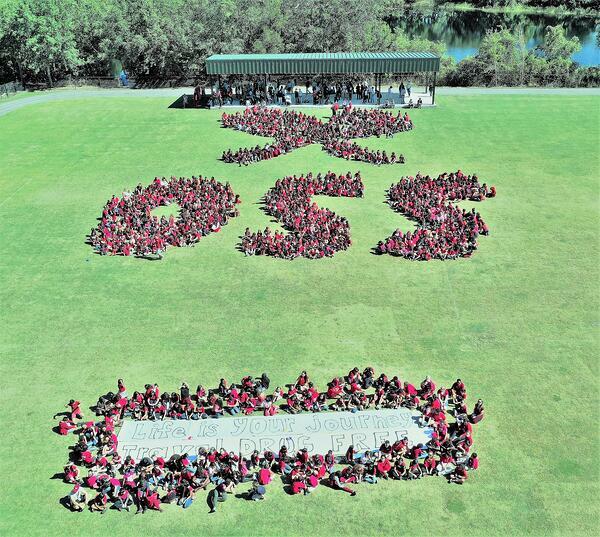 His friends and family started wearing Red Ribbons as a symbol in support of drug free lifestyles. Thanks to the Parents Movement and the various organizations, such as Informed Families, around the country who felt the same way, Red Ribbon picked up steam and became a national event in 1988. Each year, students across America come up with ideas for Red Ribbon Week themes. This year's theme, "Life Is Your Journey. Travel Drug Free," came from a student in Solon, Ohio. Informed Families delivered the theme and Red Ribbon activities and materials through our partnership with volunteer Ambassadors, agencies, organizations and businesses, leveraging resources and reaching more children and families with prevention messages. Informed Families provided over a hundred schools and communities in counties across Florida with Red Ribbon Week materials, including prevention tool kits, youth pledges, posters, parent flyers, morning announcements, newsletter entries, activity guides and more, through our Ambassador Program. Miami-Dade and Orange County schools received materials through our Red Ribbon Certified Schools program. 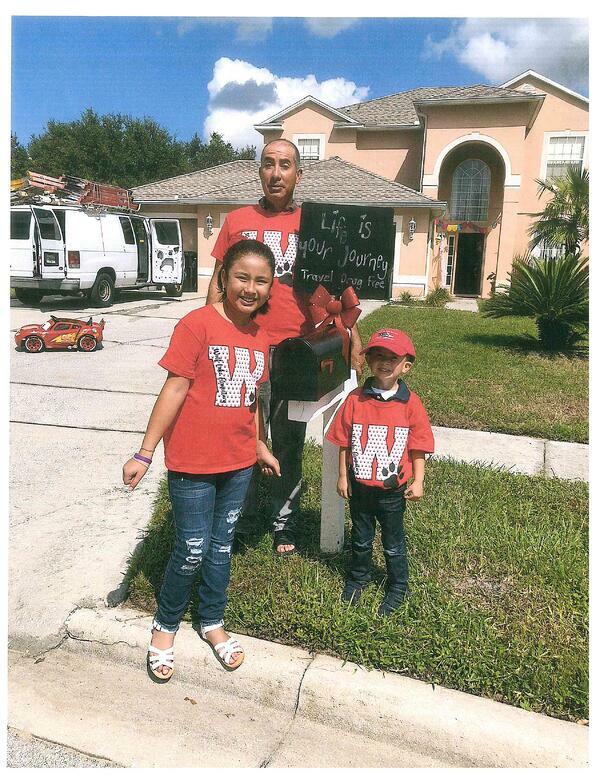 Individuals, schools and communities across the state proudly wore red, displayed red ribbons, decorated fences, cars and buildings and used the week as an opportunity to incorporate the "Life Is Your Journey, Travel Drug Free Message" with students and their families. 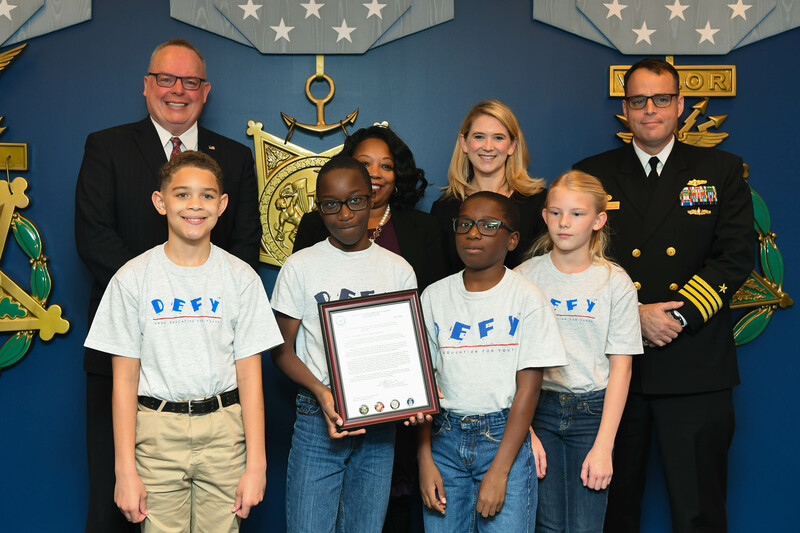 President & CEO Peggy Sapp attended and was recognized at the Department of Defense's Red Ribbon Week Awards Ceremony at the Pentagon's Hall of Heroes. Later, she met with Paul Kesner at the Department of Ed's Safe & Health Schools and the Drug Czar, James Carroll, at the White House Office of National Drug Control Policy. 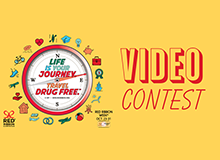 A Red Ribbon Week Video contest was held in South Florida, which asked students to create 1-3 minute videos with messages to their peers about the going through this journey we call life without using illegal drugs. Stay tuned for an announcement about our top video entries from elementary, middle and high schools in Miami-Dade, Broward, Palm Beach and Monroe Counties. These videos are AMAZING! The Orange County Commission recognized the 2018 Red Ribbon Certified Schools: Robinswood Middle School, Wedgefield K-8 School and Winegard Elementary School. The National Family Partnership (led by Informed Families' President & CEO Peggy Sapp) partnered with EverFi to share an online prescription drug prevention course for high schoolers. Thousands of schools signed up for the course thanks to our partnership. 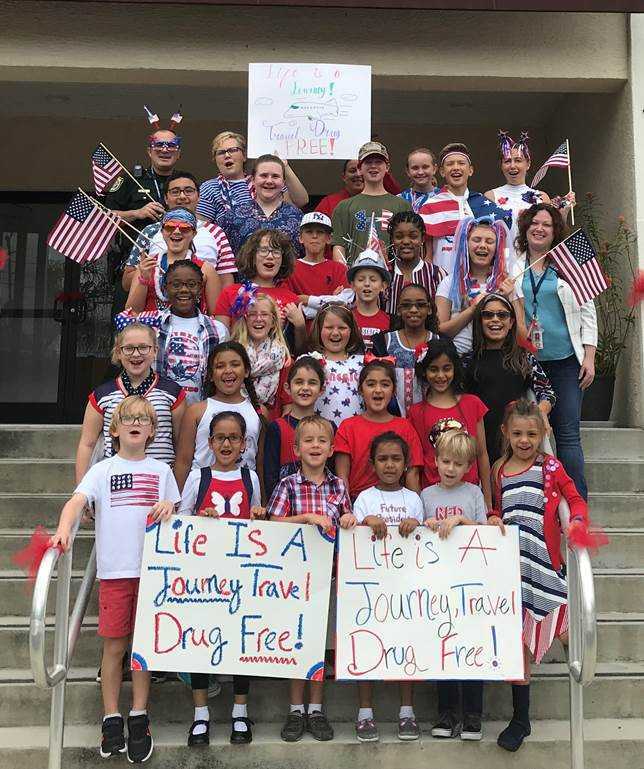 Schools across the state entered Informed Families’ Florida Red Ribbon Photo Contest, which offered experiential learning while delivering the 2018 National theme message: “Life Is Your Journey, Travel Drug Free.” 20 National winners will be announced in early December and we're hoping for a Florida win! The School and Home entry in the Southeast with the most votes will receive $1,000 from the National Family Partnership and the DEA. 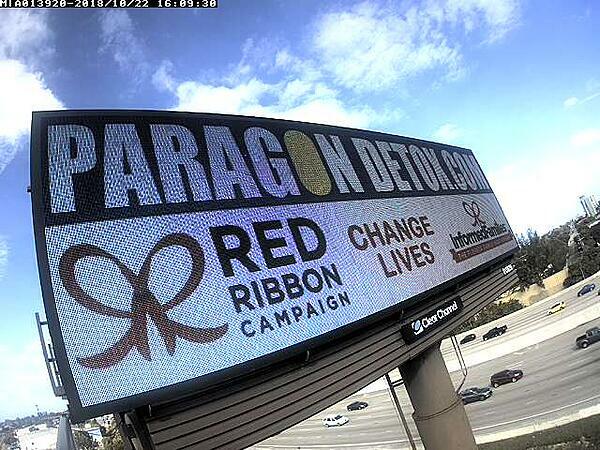 Paragon Detox in Palm Beach County created a digital billboard on I-95 featuring Red Ribbon Week and Informed Families. 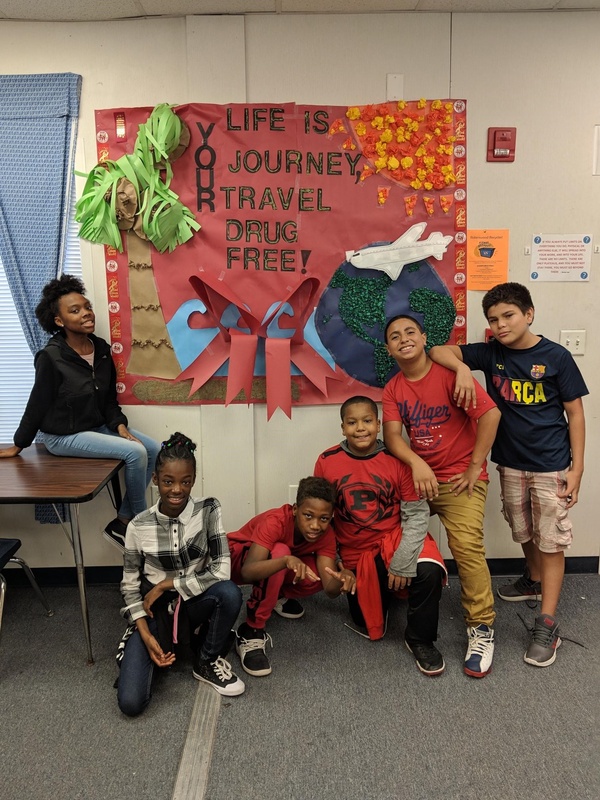 101 schools in Miami-Dade County received Red Ribbon Week themed promotional materials to help inspire creativity and offer incentives to students and families who took on leadership roles, thanks to generous funding from The Batchelor Foundation. 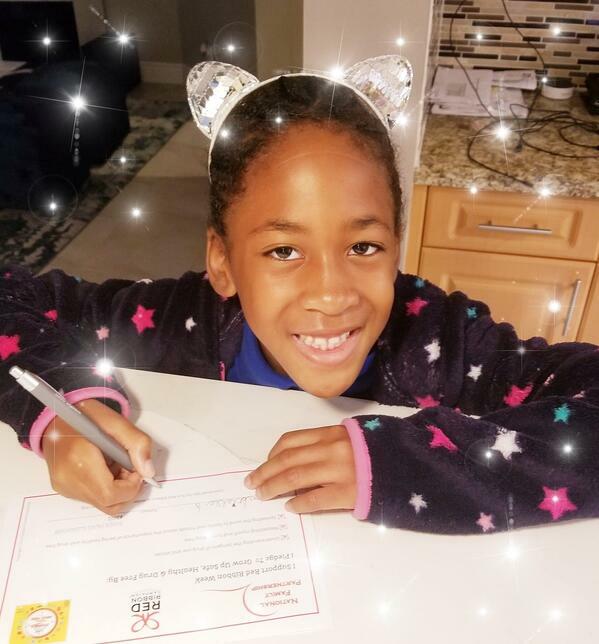 Simone Knight, VP of Marketing at Univision, posted a photo of her sweet daughter Gabby signing the Red Ribbon pledge and shared it widely on social media. And so much more, it's truly impossible to capture it all. Most importantly, Informed Families thanks the parents/caregivers, educators and concerned citizens who used Red Ribbon Week as an opportunity to talk to the children in their lives about the importance of being safe, healthy and drug free. Your effort and dedication to children makes it possible to reach thousands of kids statewide with the wonderful Red Ribbon message. We are truly honored to work with you in keeping kids safe, healthy, and drug free! Thinking About Becoming An Ambassador? We are gearing up for our next campaign: Lock Your Meds, so now is a great time to join the prevention movement! Florida Ambassadors receive downloadable toolkits, materials, and (very short and easy) training to implement the four campaigns.